This year’s World Intellectual Property Day is dedicated to female innovators, honouring a significant number of women that are pushing the boundaries in the fields of science, technology, and design and promoting their innovating ideas, courage and curiosity, which help shape the world into a better place. Am Donnerstag, 28. 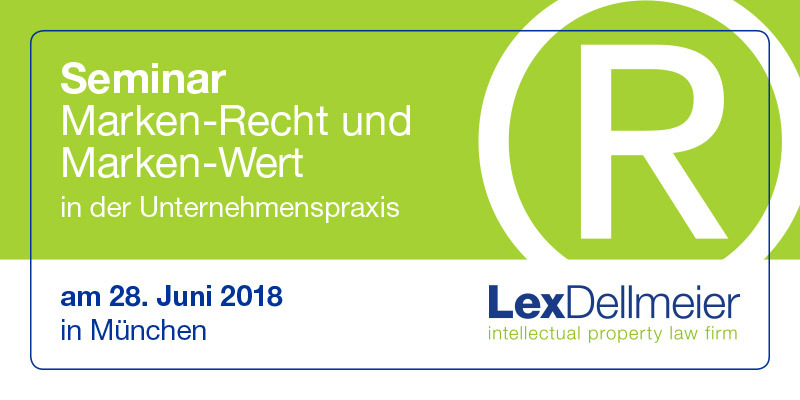 Juni 2018, findet in München das Seminar "Marken-Recht und Marken-Wert" statt. On 20 February 2018, the General Court of the European Union (GC) upheld the previous decision of Board of Apeal of EUIPO (BoA) when it found the trademark “BEPOST” and the trademarks “POST” and “ePOST” to be sufficiently visually and aurally different to rule out a likelihood of confusion. The phenomenon of the German "Mittelstand"
During a period of worldwide financial instability German SMEs (Small and Medium-sized Enterprises), the so-called Mittelstand, are leading the way in Europe’s largest economy and are the answer to financial recovery and prosperity. Source: Shutterstock Weiterlesen über The phenomenon of the German "Mittelstand"
On 18 January 2018, the General Court of the European Union (GC) upheld the decision of the Board of Appeal in the case T-804/16. LG´s application for the EU word mark “Dual Edge” was found to lack distinctive character and was therefore refused to be registered by the EUIPO. On 18 January 2018, the Intellectual Property Office of the European Union (EUIPO) published its opinion paper answering the most burning questions concerning the impact of the UK´s withdrawal from the EU regarding EU Trademarks and EU Designs. On 20 December 2017, the Court of Justice of the European Union (CJEU) gave its opinion on the “Champagner Sorbet” case. The Court stated the conditions of using the Protected Designation of Origin (PDO) for “Champagne” on a product which only contained 12% of Champagne. On 20 December 2017, the Court of Appeal in Sweden sentenced some of the scammers from the Uppsala trademark scam case to serve a prison sentence. They were found guilty of fraud for sending misleading invoices to EU trademark owners using the name “OMIH” on the letterhead. 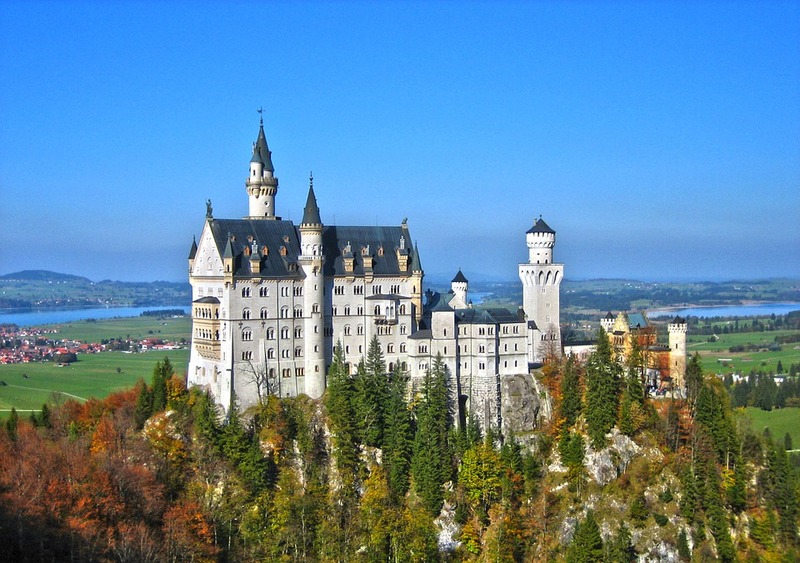 Neuschwanstein - Can the famous German castle be protected as an EU Trademark? On 11 January 2018, Melchior Wathelet, the Advocate General of the Court of Justice of the European Union (CJEU), published his opinion about the dispute concerning the Neuschwanstein EU trademark. In his opinion, he recommended the CJEU to uphold the previous decision of the General Court. Wathelet states that the trademark is not descriptive for the goods and services covered and therefore there is no legal barrier for its registration. Source: Pixabay Weiterlesen über Neuschwanstein - Can the famous German castle be protected as an EU Trademark? The new year brought some changes at WIPO and the EUIPO which are taking effect on 1 January 2018. Here is a brief summary of the most important ones for all trademark practitioners.